This rapid builds deceptively in intensity as you go down, and drops into a final hole that likes to consume K2s! The entry to this rapid is the tricky part. 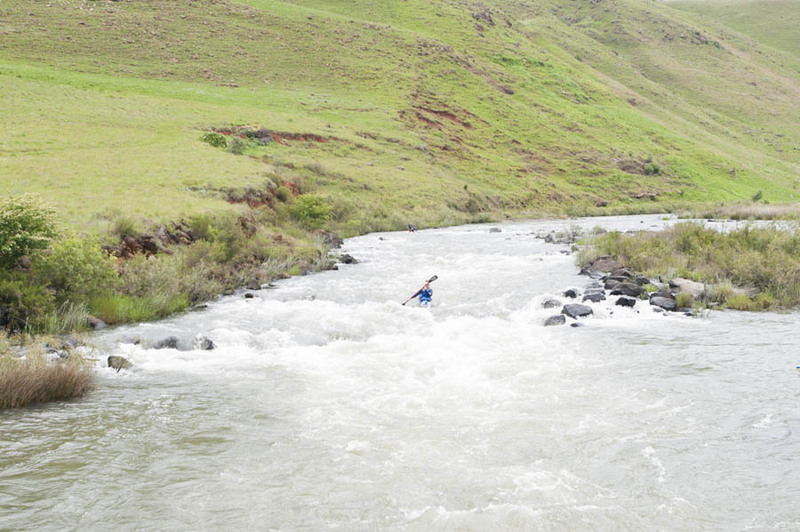 Particularly in lower conditions you have to head river right and then paddle hard left to avoid a rock in the main current. Once you are past that rock, simply line up the middle and hit all the waves head on and enjoy the ride! As you exit, keep paddling and stay right to avoid the rockface T-junction at the bottom. In very full conditions there is a decent sneak on the right hand side of the island.